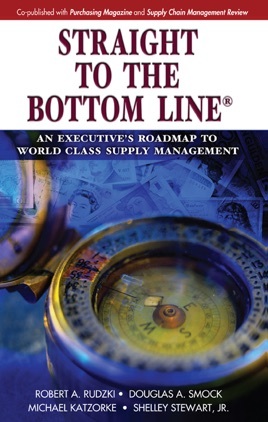 During the past 25 years, the procurement and supply chain profession has radically evolved. Once a tactical and back-office function, it is now a strategic business opportunity that can be fundamental to the success of any organization. A few leading companies have achieved an enormous competitive advantage and outstanding bottom-line performance by incorporating a procurement and supply chain strategy into their core corporate strategy. Why haven’t more companies seized this same opportunity? The reason is very simple: a lack of understanding at the senior executive level. Virtually all books on procurement and supply chain have been written for the day-to-day practitioner. 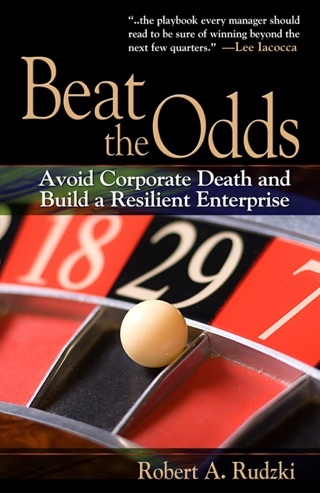 Now, there is a book to explain this opportunity to all corporate executives, and also illustrate the leadership role the senior executive needs to play. Straight to the Bottom Line will enable senior corporate executives to turn the enormous top-line and bottom-line potential of supply chain and procurement into reality. Robert A. Rudzki is President of Greybeard Advisors LLC, a firm that assists enterprises improve their financial performance. He is also a director of a privacy and security software company, and is an Advisory Board member of several companies. Previously, Bob was Senior Vice President and Chief Procurement Officer at Bayer Corp., where he led a nationally recognized transformation effort. Prior to that he was an executive of Bethlehem Steel Corp., which he led to recognition from Purchasing Magazine as a Best Places to Work, and a top-quartile ranking in a best practices survey of 160 global corporations. In the course of his career, he has held various executive management positions, which included finance, accounting, procurement and logistics, business development and P & L responsibility. More Books by Robert A. Rudzki, Douglas A. Smock, Mike Katzorke & Shelley Stewart Jr.